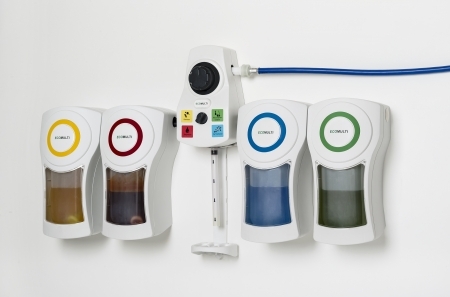 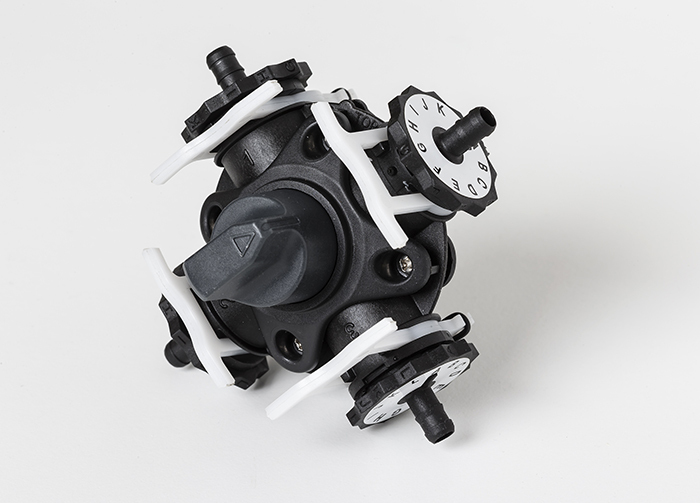 ECOMULTI COMPACT is a proportioner that can dilute up to four chemicals from one dispenser. 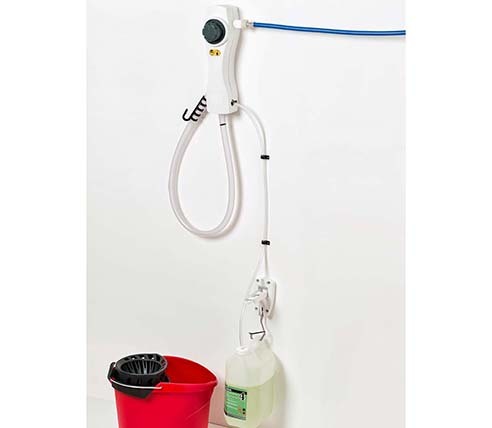 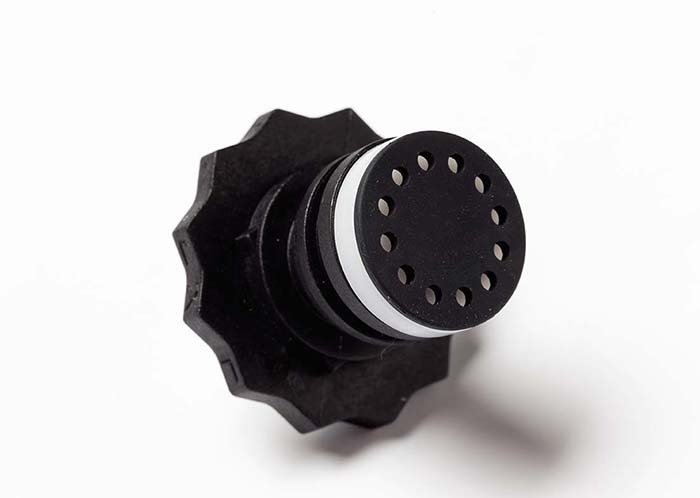 Connected to a water mains, the compact design makes these one-stop cleaning stations the ideal solution for even the smallest cleaning environments. 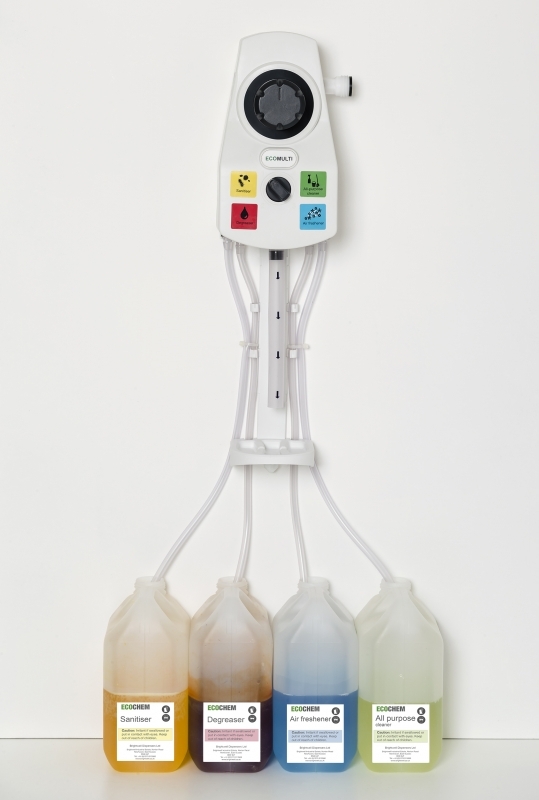 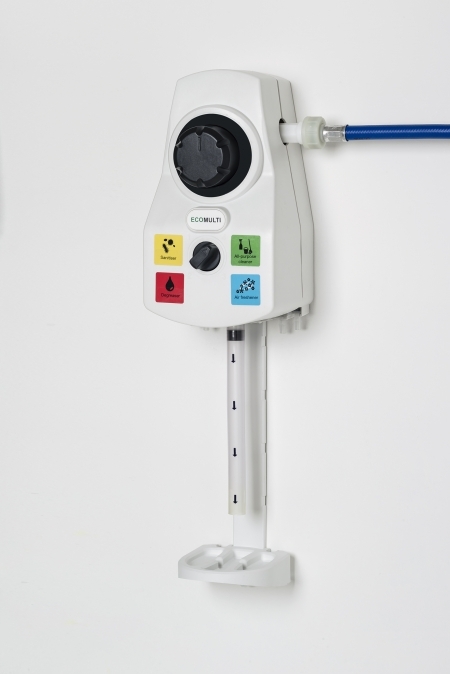 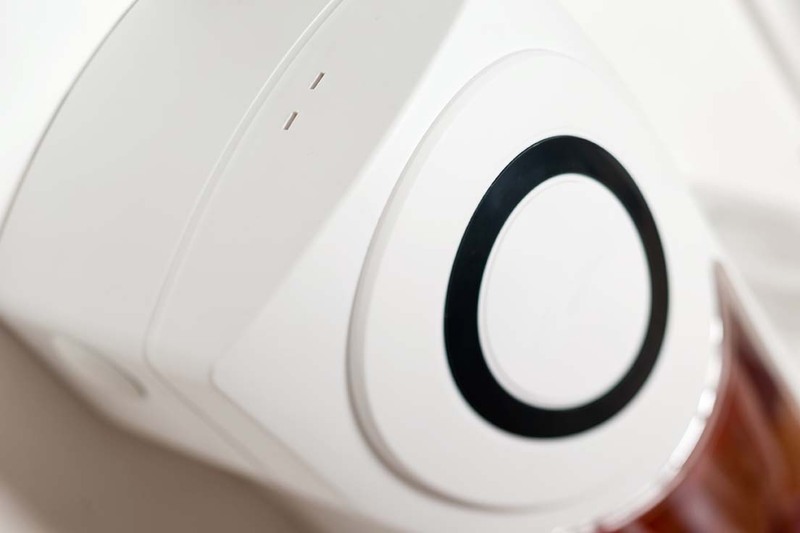 It is available in low-flow (4L/min) and high-flow (14L/min) versions. 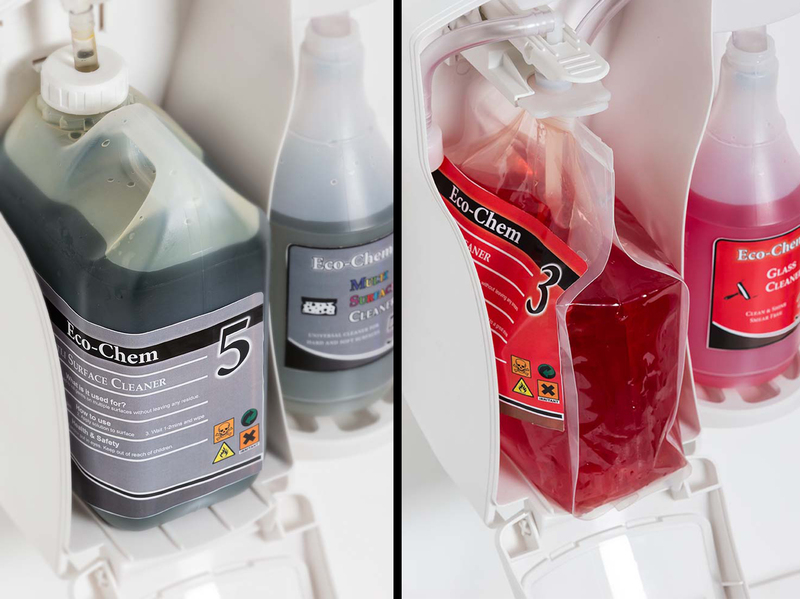 Choose to deliver chemical from a hanging bracket which supports up to 5L containers or consider installing safe and secure chemical cabinets that are suitable for 1.5L pouches and 2L bottles. 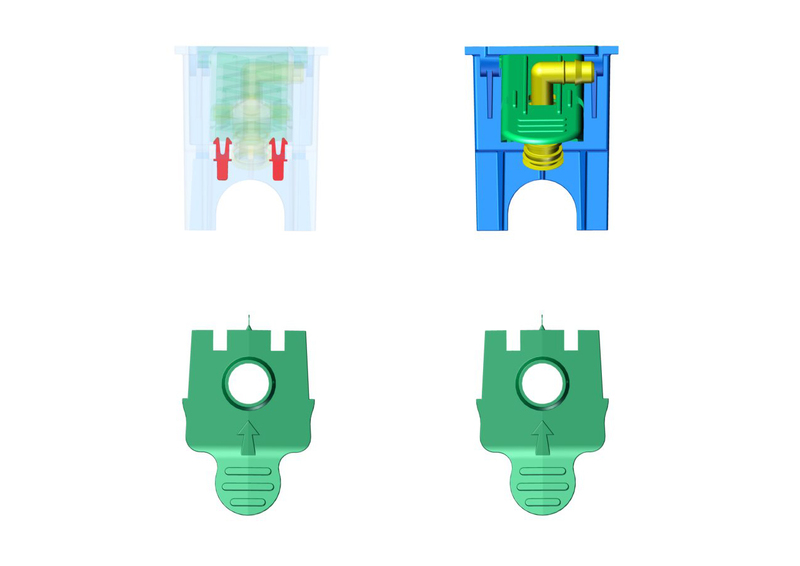 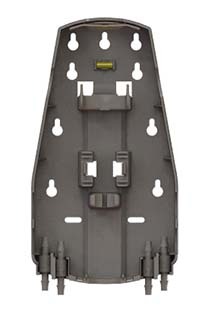 The pouch system's optional pin positions are ideal for the exclusive distribution of chemicals. 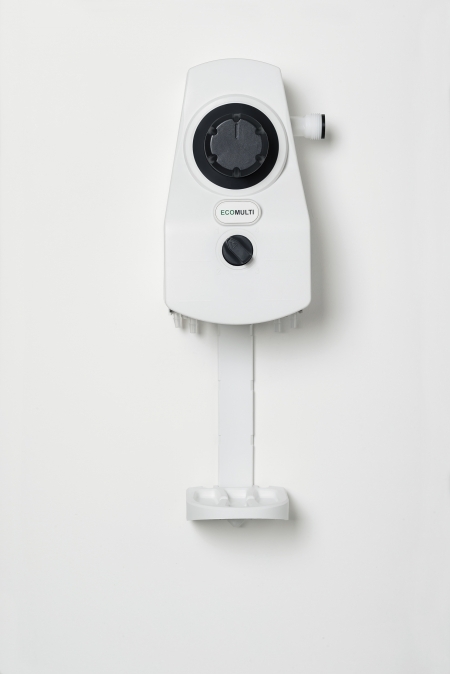 As with all proportioners in the ECO RANGE, ECOMULTI COMPACT is designed using Brightwell Dispensers' patented dilution pin enabling installers to select up to 13 independent dilution ratios per chemical. 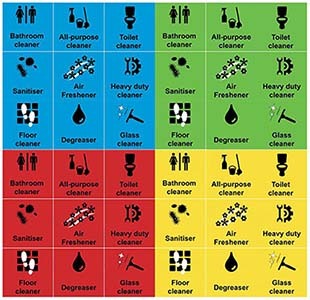 ECOMULTI COMPACT comes with colour coded, multi-lingual pictograms in sets of blue, red, yellow, green and transparent to aid easy identification of correct cleaning solution and application. 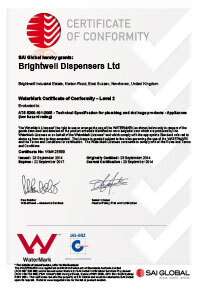 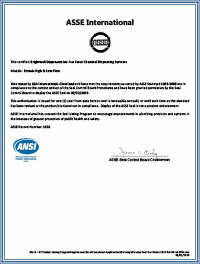 Contact Brightwell today to learn more about ECOMULTI COMPACT and its availability. 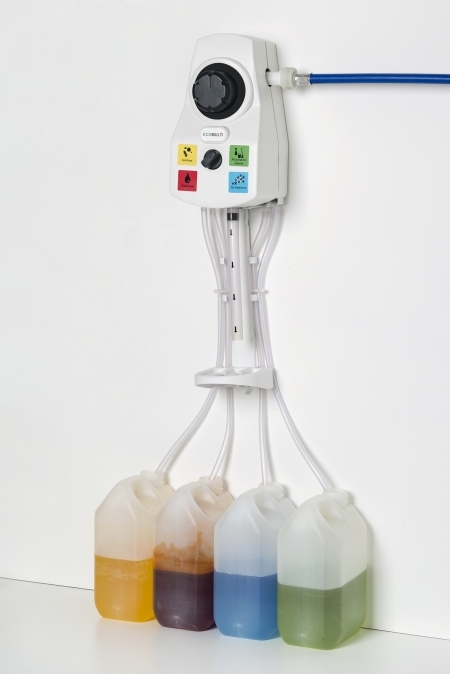 View ECOMULTI COMPACT five chemical dispenser suitable for combining high flow and low flow applications.